Tonalea, AZ (10/14/2013) – The Arizona Off Road Promotions series headed north to Tonalea, AZ for rounds 10 and 11 of the 2013 series. The crew worked with the XMC motorcycle club to cut in an all new course that would be used for the opening round of the AMRA series as well as the AZOP course. The crew ended up with a 10 mile loop that took approximately 25 minutes to complete one lap. The terrain consisted of sand, silt, tight trails in between trees, a very tight wash section and a terrific 1 mile long sandstone section that was extremely technical. On Saturday the AMRA series held their races and that was followed by Round 10 of the AZOP Motorcycle series. The overall victory went to Malcolm Dayzie in the 250cc A class followed by Open A rider Tyler Palmer. 3rd overall went to the winner of the 250cc B class David Richards. 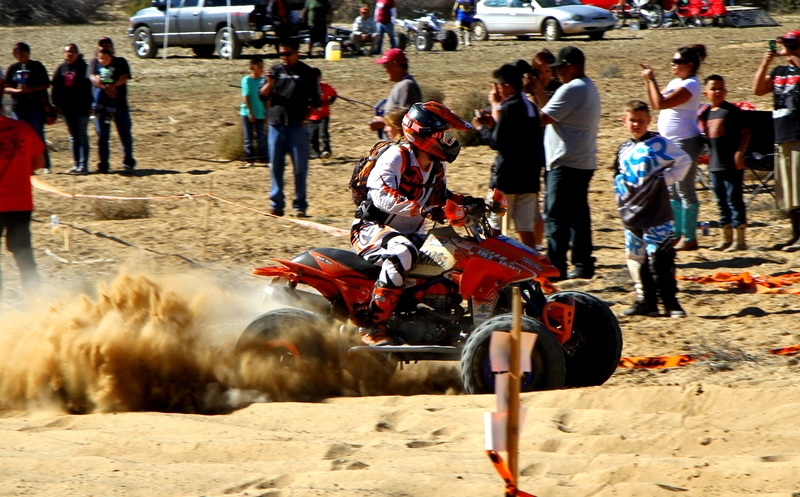 The next race was the ATV’s which had 15 total entries. Trent Kendall finished 6 laps in 2 hours and 12 minutes narrowly taking the overall victory by only 4 seconds over the Open Expert winner Desmond Sandoval. 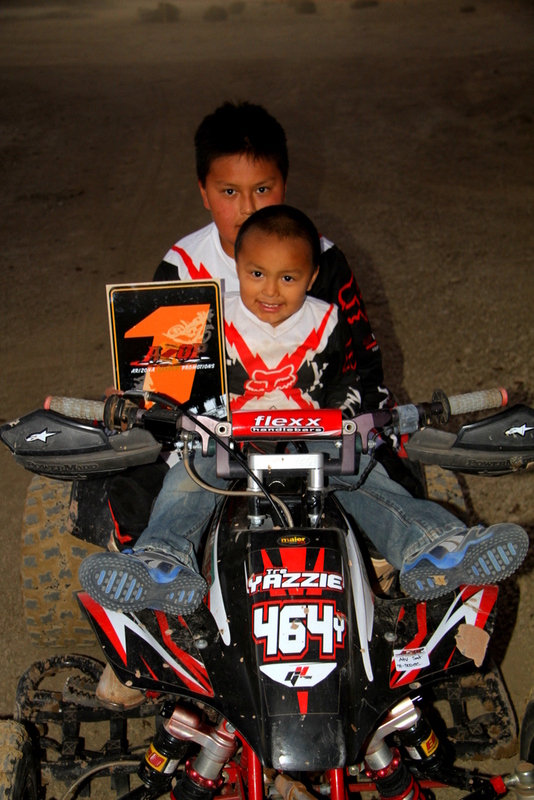 Desmond is a WORCS Pro Am racer who will be in the Pro class for the remainder of the AZOP season. Adam Barnes finished 2nd in Open Expert with Joe Philpott taking 3rd. The top 3 from the sportsmen class were Chris Hall, Koby Dodson and Joseph Philpott Jr.
Sunday was Round 10 for the AZOP series and there were more motorcycle entries this day. The overall winner was Dylan Osborne who completed 7 laps in 2 hours and 20 minutes; he even beat the two team class entries by himself! The Seniors 40+ B class had 5 entries with Doug Woody taking the victory by just 31 seconds over Cecil Schrader. For full result please visit the AZOP website. 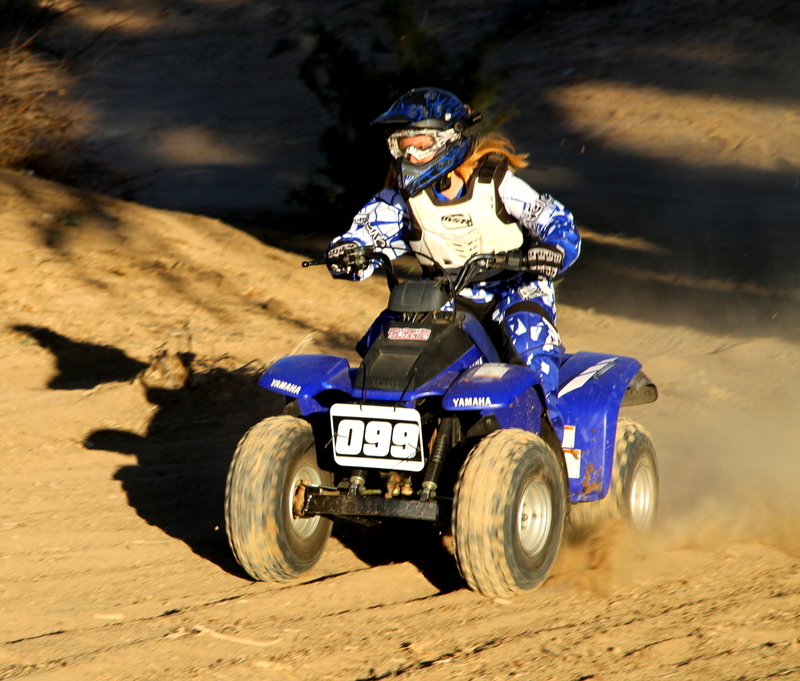 All of the ATV riders were tired and sore from the previous days racing so they decided as a group to change the format for Round 11. Everyone was entered into a team race where the teams were randomly setup to team up a sportsmen rider with 1 pro/expert rider. This worked out great and there were 6 teams on the line for the 2 hour GP. The top 3 teams were switching positions every lap until lap 3 when Team Shaunicee/Desmond broken down leaving Team Adam/Ron to battle it out with Team Joe Jr./Trent. The teams swapped the lead every lap with Team Adam/Ron eventually taking the victory on the final lap. The spectators in attendance enjoyed the battle immensely commenting it was the closest team race they had ever seen. The youth division had limited entries both days but we want to give a shout out to our youth riders Gunner Deatherage, Noah Consalvo, Gabe Hutchinson, and Jacob Nez for their strong performances. The land owners and people around the track were very accommodating and we look forward to returning to Tonalea in the future. Next time we hope to use their motocross track which was under water on race weekend.